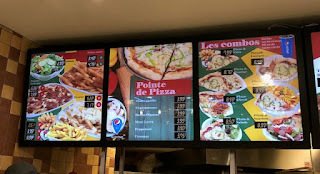 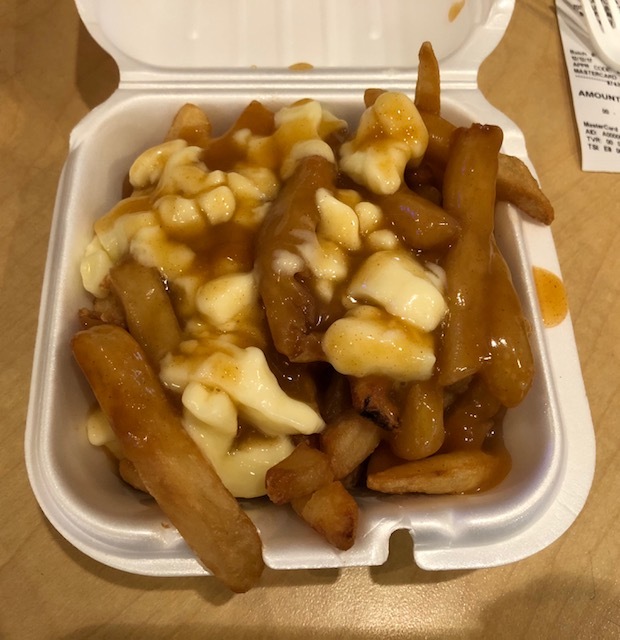 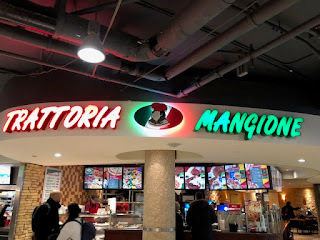 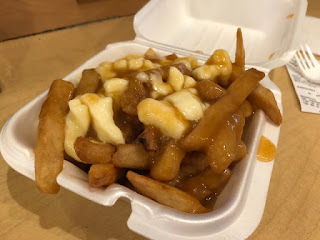 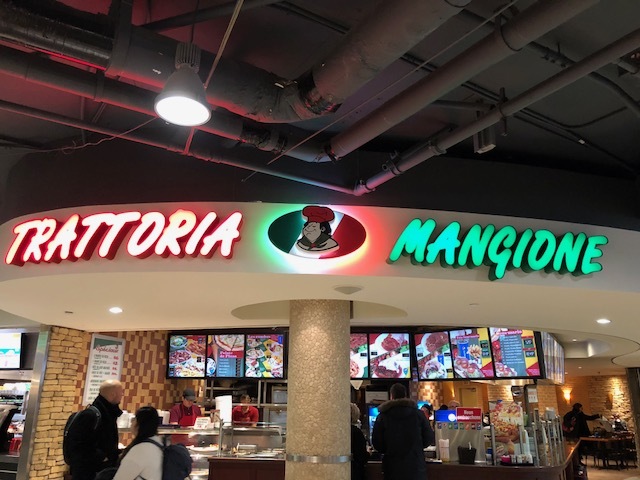 I was wandering around to find a place that sells poutine that I haven't tried yet, which is getting extremely hard at this point, but I saw poutines on the menu at Trattoria Mangione in the food court in Center Eaton. 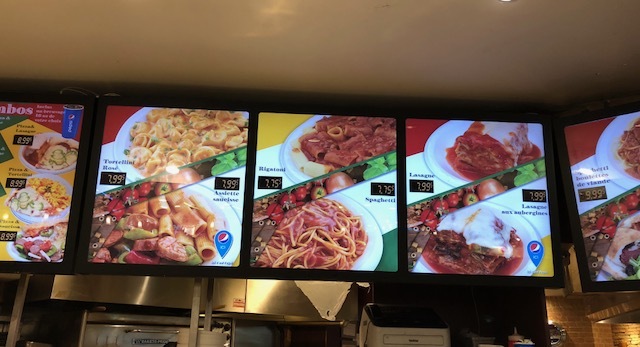 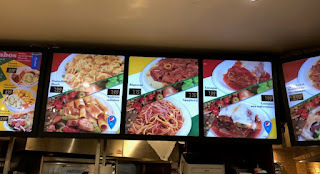 As the name, it's an Italian fast food restaurant with various pasta menus. Fries were thick and crispy. 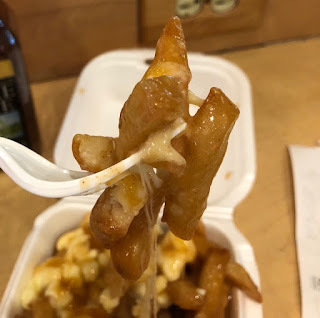 Fries were covered in the gravy sauce, but they're still light and crispy. 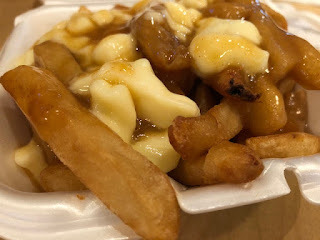 Cheese curds were slightly melted, but they kept squeaky texture. Reddish light brown gravy was lightly starchy, and it's not too thick. 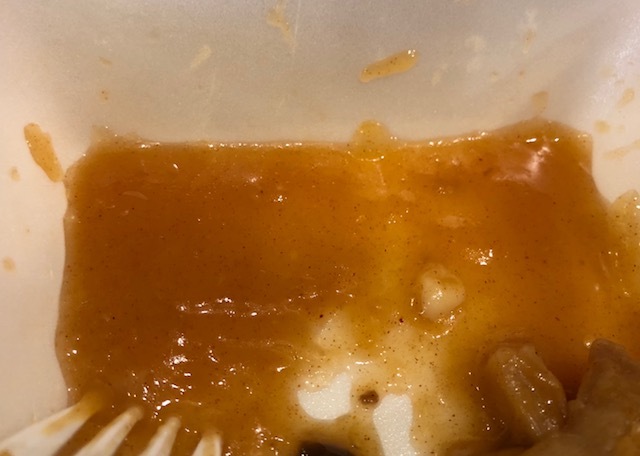 I tasted some Italian seasoning in the gravy, and it's not too salty.